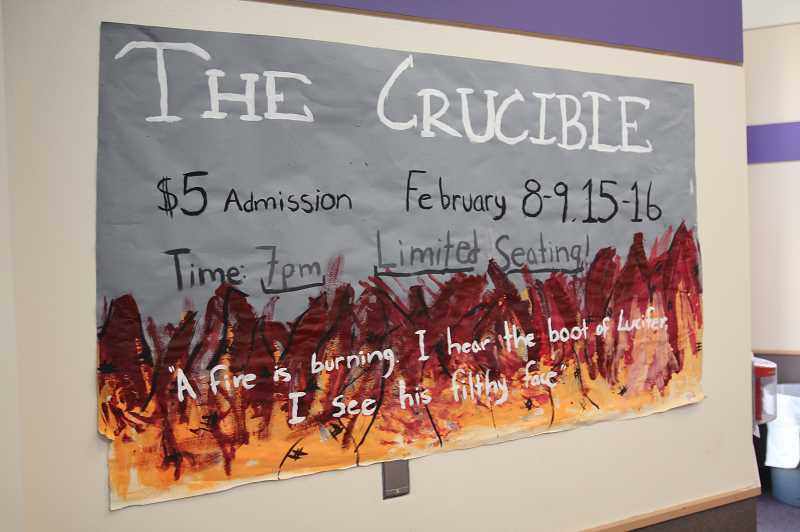 Woodburn High School Theatre has been hard at work since early December with daily rehearsals intent on sharpening up for its upcoming presentation of Arthur Miller's "The Crucible." The production opens 7 p.m. Friday, Feb. 8, and will be performed thrice more: 7 p.m. Saturday, Feb. 9, Friday Feb. 15 and Saturday, Feb. 16. All shows will be at Woodburn High School Theatre, 1785 N. Front St.; admission $5. The Crucible is the second of three shows slated for the 2018-19 season, themed "together we rise." 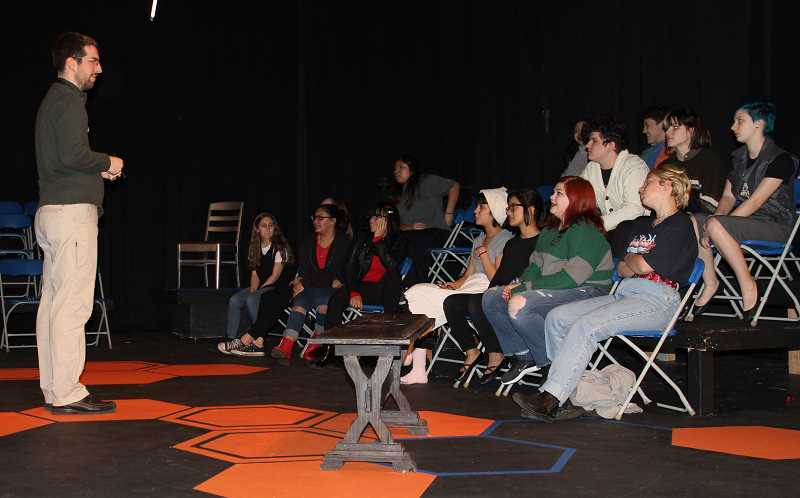 All three productions explore the realities of living in a thriving community. In the fall the group performed "Black Butterfly, Jaguar Girl, Pinata Woman and Other Superhero Girls, Like Me." Near the end of April the group will present "Peter and the Starcatcher." But this week the stage is set for The Crucible – and a unique, cozy setting it is. Seats are literally set up in three rows upon the high school stage where audience members will be seated just feet from the action. 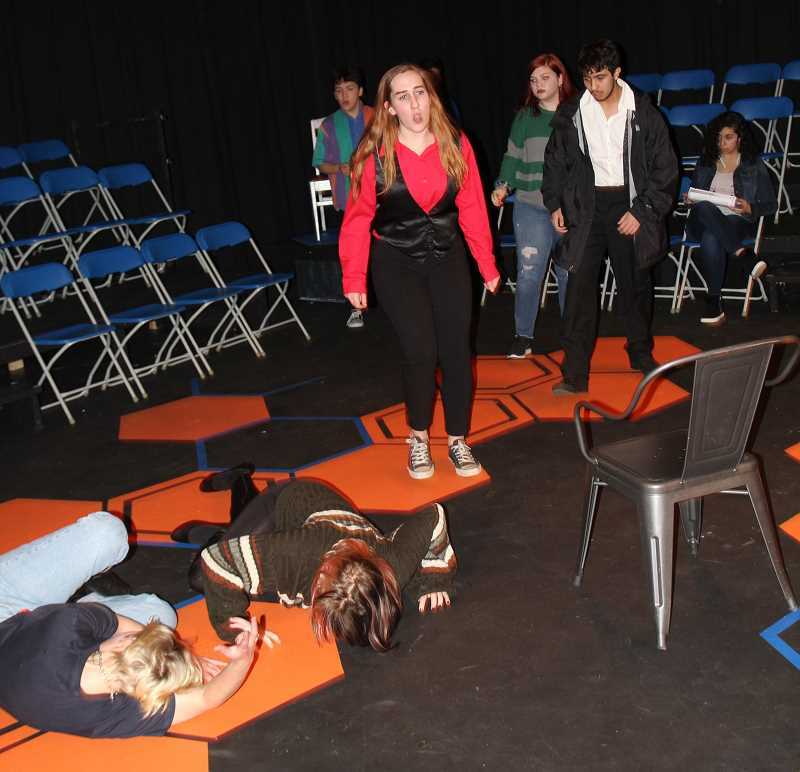 Described as a haunting thriller and one of the most-celebrated works of one of America's master playwrights, The Crucible is set in 1692 Salem Massachusetts, but director Caleb Thurston said the Woodburn version is actually adapted to the 21st century. Thurston described the scenario: when a few girls fall ill, whispers of witchcraft ripple across Salem, and neighbors turn against each other with deadly results. John Proctor, a humble farmer with his own secrets, goes to trial to defend his wife but finds himself pulled into one of America's darkest chapters -- the Salem Witch Trials. 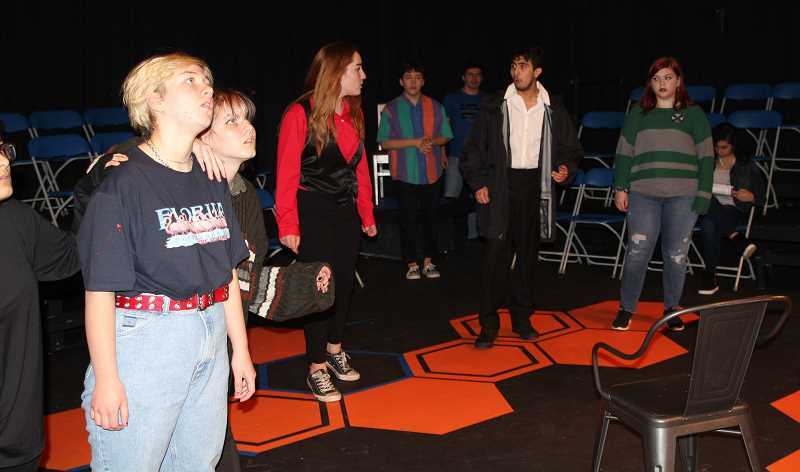 The play won the Tony Award for best play in 1953, and although it's originally set in the 1600s, Woodburn High School's production places the action in a utopian future. "It's a big challenge because it's such a complex play," Thurston said. "And it's heavy in a lot of ways. But in the same ways, that richness inspires them (Woodburn actors) to take ownership – to rise to the occasion." While it's a tough task, Thurston said it helps that some of the main characters are teenage girls, adding that "experiences can be universal." "When you think about social media today, and think about how the truth can be distorted very quickly," Thurston said. "It's interesting to have those conversations (within the play)." Does a 17th century play translate well into the near future? 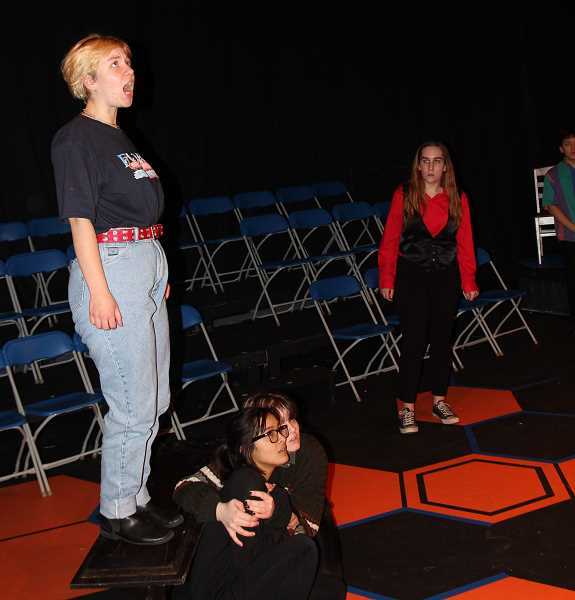 "I think so, yes," said Anna Koffler, a junior playing the role of Rev. Hale. "One of the main points of the play is doubt and not listening to each other. That is always going to be universal." For Koffler, being able to play a male character in the play feels "empowering," but one of the major challenges is the sheer prolix inherent to this work. "This play is very lengthy with dialogue," she said. "There are a lot of long lines. And if I find myself thinking 'do I really need to say that, that little part of the line?' Yes, I do need to say it; this play is about the words." The production features more than 20 student actors, including Zimri Torres as John Proctor.